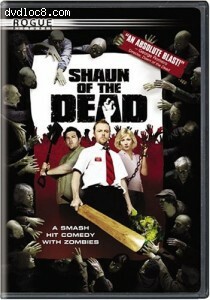 This page contains easter eggs for the disc Shaun of the Dead (DVD, Region 1). On the normal version of the DVD, in the subtitles section, there is something called "The zom-??? Track." Select this, and have a whole heap of extra trivia appear as subtitles, such as music credits, storyline pieces and other good stuff.